Thank you Usborne for the copies!! Only Willow has the power to defeat the malevolent Church of Angels, and they will stop at nothing to destroy her. Willow isn’t alone, though. She has Alex by her side – a trained Angel Killer and her one true love. But nothing can change the fact that Willow’s a half-angel, and when Alex joins forces with a group of AKs, she’s treated with mistrust and suspicion. She’s never felt more alone…until she meets Seb. He’s been searching for Willow his whole life – because Seb is a half-angel too. What more can I say about these two books other than I LOVED THEM! Weatherly has a captivating style of writing that draws you in and keeps you hanging on every word. I adored the first book, and luckily had the opportunity to go straight into the second without any waiting! I was a bit wary about Angel Fire, as it’s a chunky book at 709 pages but I shouldn’t have been - every word on every page is relevant and I was far from disappointed – if anything I got sucked even deeper! There are some characters to die for in this series and these characters love one another so dearly that they would die for each other. This makes for a great action packed set of books with just the right amount of romance to counteract it. Weatherly has developed some wonderful characters with such depth that they create an incredible story. There isn’t anything predictable about this series. 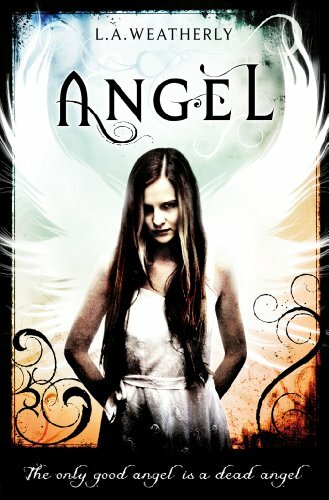 Right from the go, it’s different – we usually think of angels as heavenly creatures, however the tag line to this series is “The only good angel is a dead angel” so this makes for a fabulously unique read! The books are split between first person narrative in relation to Willow and third person narrative in relation to the rest of the cast. This allows you to get inside everybody’s head and makes you realise Willow’s anguish at having to make certain decisions! 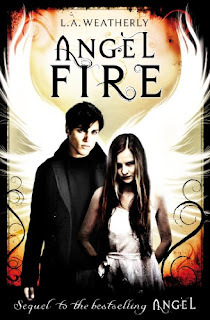 I loved watching Willow and Alex grow closer and closer in Angel, and this makes it hard at times to read Angel Fire, but the journey Weatherly takes you on is captivating and addictive. Despite the length of Angel Fire, I devoured it as quickly as possible.